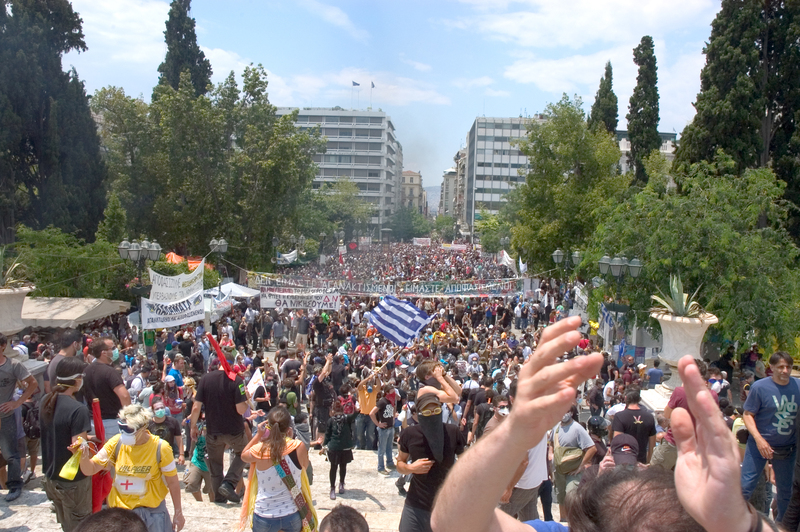 Occupying Syntagma Square: >>portfolio: *photography: Kia Mistilis // Journalist, Photographer, Editor. Demonstrators gather to protest the memorandum which is before the parliament on the second day of an historic 48 hour general strike. Athens, Greece. June 29, 2011.